Nim flew Lil to the North Pole as fast as he could go. “How many times have they been told not to touch us!” he cried out in frustration. Nim knew this was true, but he couldn’t shake the worry that clouded his brow. In what seemed like years, he finally arrived at the North Pole Hospital. Whizzing past the reception desk, he found Dr. Twinkle and explained what had happened. “Then she can go back?” asked Nim hopefully. Once he landed on the kitchen table, he got right to work. First, he wrote a short note to the kids. 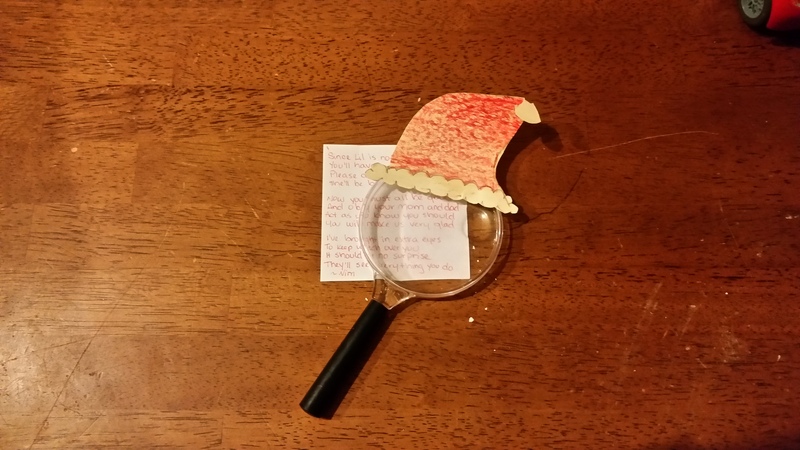 Just in case they couldn’t read his tiny writing, he put a santa hat on a magnifying glass and placed it over the note. “And now for the fun part,” he murmured to himself. 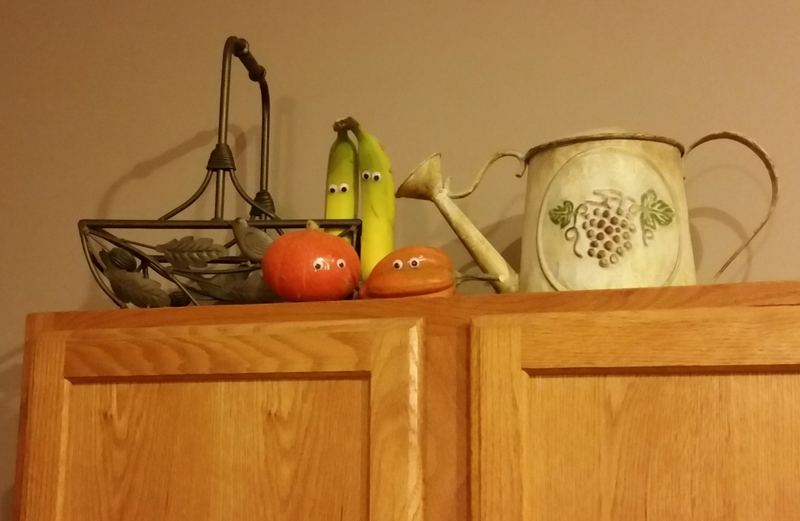 It was a lonely job glueing googly eyes on all the bananas, pumpkins and squash with no laughing Lil by his side; but Nim was sure that if it was done right, the kids would get back on track. 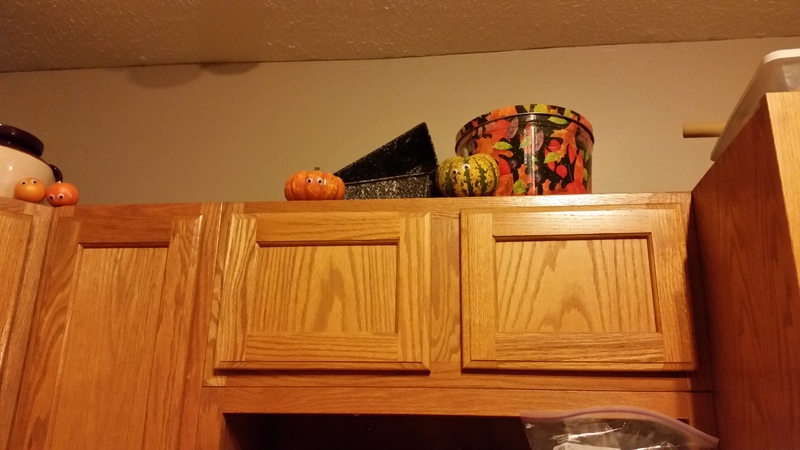 Once eyes were on all the produce, Nim swooped to the top of the kitchen cabinets and placed them here, there and everywhere. 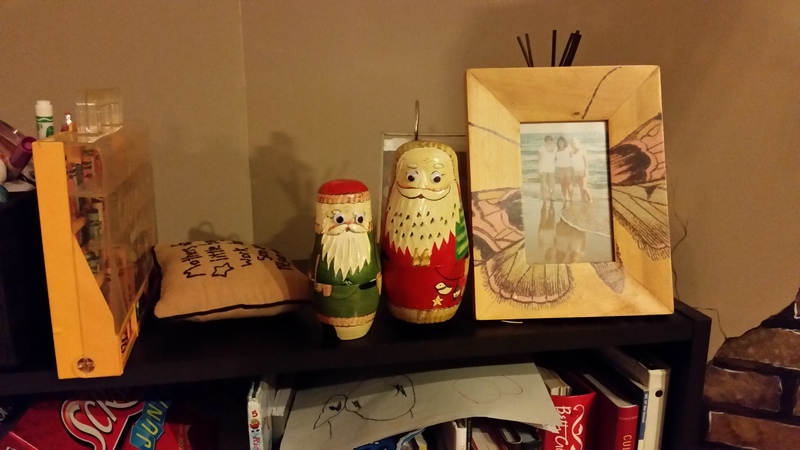 And for good measure…he put them on the Santa nesting dolls. 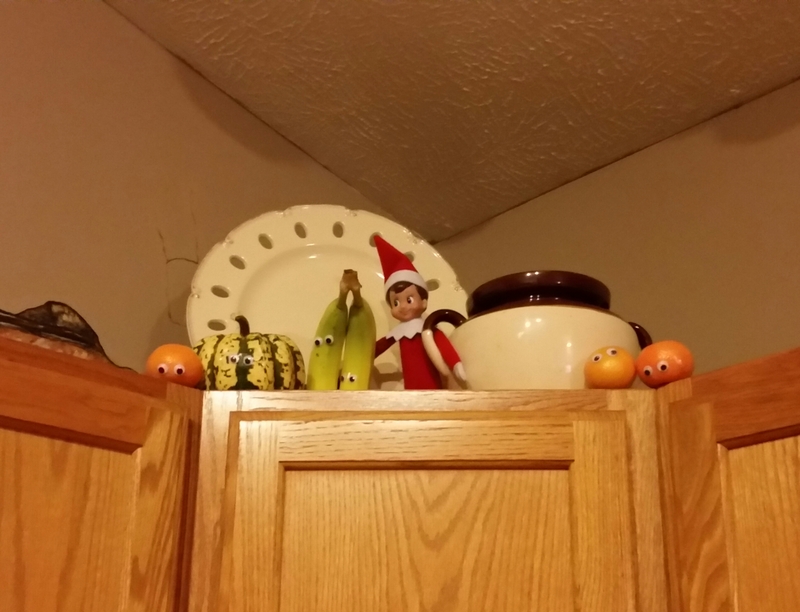 After making sure that everything was perfect, Nim swooped to the top of the corner cabinet and nestled himself among 3 oranges, 2 bananas and 1 squash. “I sure hope this does the trick,” he whispered. LOL I love it!!!! Is it working?